Adele - Hello, watch music videos from youtube for the song Adele - Hello. The accompanying music video for the song was directed by Canadian actor and director Xavier Dolan and released on 22 October 2015. The concept of the video revolves around a recently broken-up woman calling a younger version of herself. Portions of the video—mostly the finale on the pond and the shot of her opening her eyes in the beginning—were filmed with IMAX cameras, making it the first music video in IMAX format. The video draws inspiration from Dolan's semi-autobiographical debut I Killed My Mother, which was made when Dolan was barely 20. The video was filmed on a farm in Quebec over a few days in September 2015. The video stars American actor Tristan Wilds. Dolan contacted Wilds via Skype and explained the concept for the video, which Wilds agreed to take part in. During the filming both Adele and Wilds were asked to improvise and "tap into" their past relationships in order to convey the correct emotions. Dolan also filmed shots of both Adele and Wilds having conversations and laughing. The sepia toned video shows Adele performing the song in a small house and outside in a wooded forest, intercut with scenes of her making a tearful phone call and flashbacks to a past relationship with Wilds' character. The music video for the song broke the previous Vevo Record by achieving over 27.7 million views within a 24-hour period. Later, the video continued to break Miley Cyrus's "Wrecking Ball" Vevo record for the fastest video to reach 100 million views in 5 days. 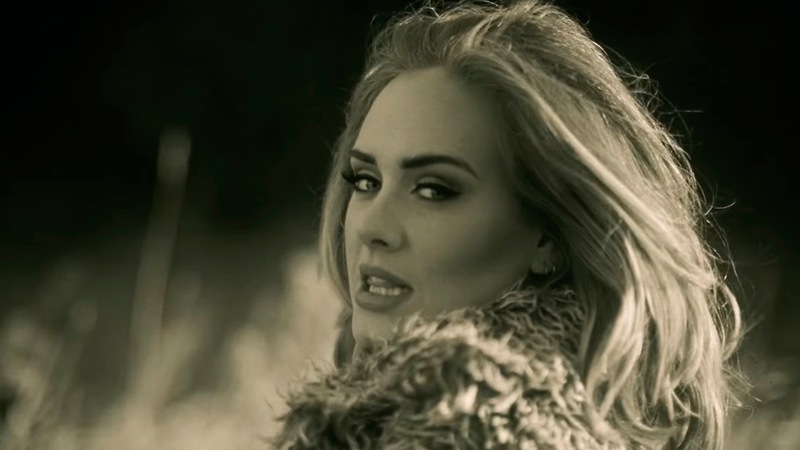 The phrase "Adele hello" was also the top YouTube search term of Friday and Saturday, and on average the video was getting one million views per hour during the first two days, peaking at 1.6 million in a single hour, beating the peak view rate of the trailer for Star Wars Episode VII: The Force Awakens, which peaked at 1.2 million views per hour.